The CB300R’s compact 286cc DOHC four-valve, liquid-cooled, single-cylinder engine is a jewel that has won thousands of fans for its free-revving, responsive nature. The engine also works extraordinarily well in real-world road-riding conditions, providing plenty of power both around town and out on the highway. Bore and stroke are set at 76 x 63mm, with a compression ratio of 10.7:1. PGM-FI fuel injection—with 38mm throttle bore and a refined, straight-shot intake path—delivers crisp throttle response across the rev range. 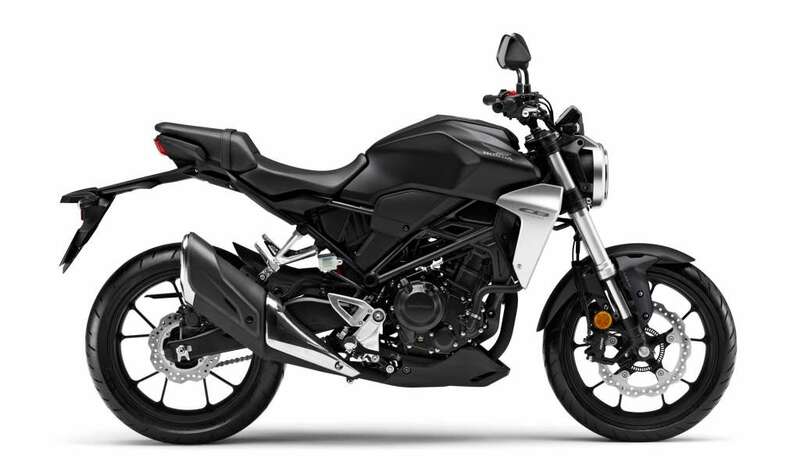 The CB300R underslung exhaust features a dual-chamber design with the outlet on the right side. The high-flow design contributes to an ultra-linear throttle response. The CB300R’s engine uses a new intake and exhaust design to reduce air resistance, contributing to more linear throttle response. In addition to the CB300R’s chassis, the steel swingarm is designed to provide high longitudinal rigidity and control torsion without being harsh or heavy. This means you get confidence-inspiring feel and feedback, especially while cornering. The CB300R’s 41mm inverted fork offers a smooth ride with compliant damping. The supple spring rate is just right for a bike this size. 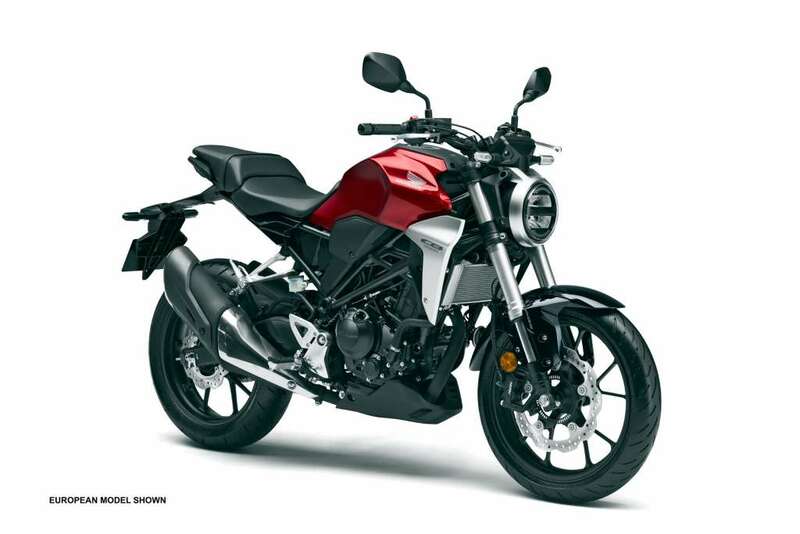 The CB300R features a balanced 49.6/50.4 front/rear weight bias. That means you’re set up for unmatched sport riding, balancing rear-wheel traction, front-end grip, and balanced braking forces. Since it’s over 30 pounds lighter than our own CB300F, the CB300R’s user-friendly, 313 pound curb weight (317 pounds with ABS) means this bike handles well, and is easier to balance at stoplights or in parking lots. Unsprung weight—the tires, wheels, and brakes—are super-important in a sportbike. The CB300R’s lightweight aluminum wheels are a critical part of the bike’s responsive handling. Plus, they look great too. The CB300R’s engine is designed with a minimum number of moving parts. Details like low-friction piston rings, high-density core radiator and iridium spark plug help increase fuel efficiency. Thanks in part to the weight-saving measures and the new intake layout, initial acceleration has been improved by 4% compared to the CB300F. The CB300R’s radial-mount four-piston Nissin front brake caliper clamps down onto a 296mm floating disc to provide optimum stopping power. The CB300R’s lightweight, full-function LCD display adds a premium feel. It’s 60-percent thinner than previous designs, and gives you readouts for engine rpm, speed and fuel level. Another perfect example of classic styling with a modern touch, the CB300R features an all-LED lighting package, yet still sports a timeless round headlight lens. The LED taillight is the thinnest ever mounted on a Honda motorcycle! The CB300R’s 31.5-inch seat height puts you in an engaged, athletic riding position. You can sit up and see what’s going on around you, and you’re ready to instantly respond to the road—just like your bike. A separate passenger seat, integrated grab rail and passenger footpegs mean you can take a friend along when you go riding—another example of the CB300R’s versatility. 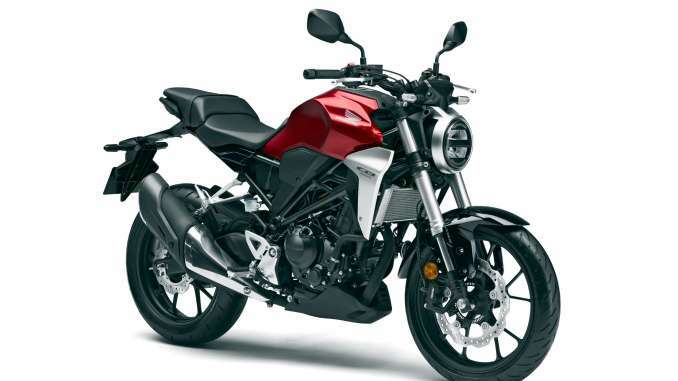 Because it features a counterbalancer, the CB300R engine is a smooth runner. You get the narrow overall width and power advantages of a single along with the smoothness of a multi-cylinder bike. The CB300R uses a premium tapered handlebar. The center section where it clamps to the triplecrown measures 28.6mm, while it tapers to 22.2mm at the ends under the grips. The larger diameter of the clamped area gives you a direct connection to the bike and excellent steering feedback.